The Provincial Mothers Union department organized a field visit to see the impact of the nutrition program that has been operating for several months. 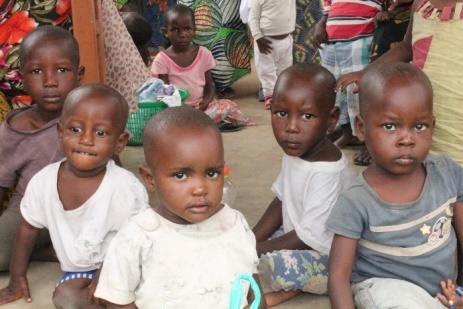 In some localities of Bujumbura many children suffering from severe malnutrition have been assisted with medical and food support with very positive results. In Butere many families gathered at local health centres to celebrate the healing of their children who used to come for treatment and nutritional support. They were informed that very soon other partners will grant community health insurance cards for the most vulnerable people and that malaria and respiratory infections will be treated for free. Looking forward to the Christmas celebrations the Provincial MU Coordinator took the opportunity to thank God for the healing granted to all the supported children and also thanked MU supporters for the good work they have done to save the lives of so many children.